Driving a car with manual transmission needs little bit patience. Here are step-wise driving procedure with pictures. Leftmost pedal is for clutch, middle one is for brake and rightmost one is for accelerator. Clutch should press full at a once but release slowly. Brake and accelerator should press slowly but release at a once just opposite as clutch.Clutch is controlled by left leg whereas brake and accelerator are controlled by right leg. 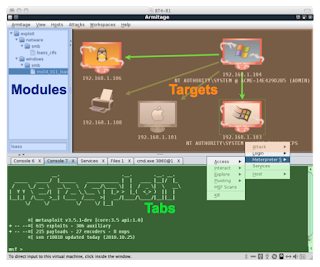 Armitage is a scriptable red team collaboration tool for Metasploit that visualizes targets, recommends exploits, and exposes the advanced post-exploitation features in the framework. Use the same sessionsShare hosts, captured data, and downloaded filesCommunicate through a shared event log.Run bots to automate red team tasks. Armitage is a force multiplier for red team operations. Filmora is an all-in-one home video editor that has powerful functionality and a fully stacked feature set. Filmora is a solid app that gives you the features and styles that have been previously only available to professional film makers that have a certain level of experience and the expensive applications to match. Filmora has a simple drag and drop interface, which gives you the freedom to be artistic with the story that you want to create. Key features: Text and titles: support for animated text.Music library: support for adding your music tracks.Overlays and filters: specifically designed filters and overlays to give your a professional finish.Elements: Still and motion graphic support.Unique visual effects: you can incorporate over 100 visual effects.Speed control: Slow motion and time lapse support.